The Revolution DVR allows you see what you've been missing and also save it for later viewing or further processing, without the need for troublesome computers! 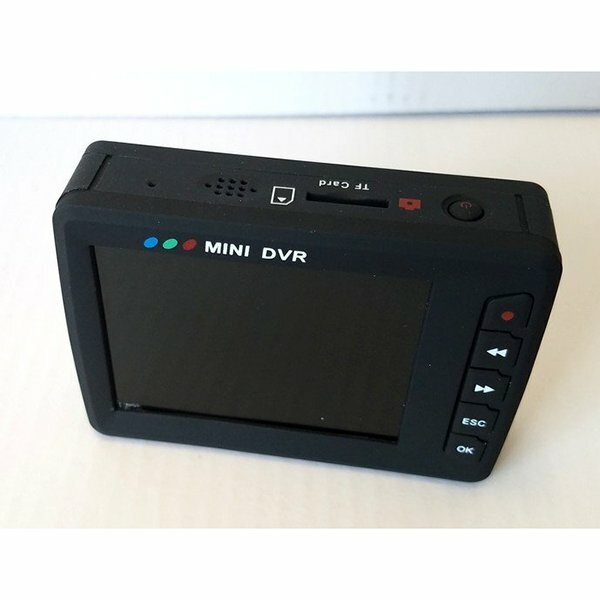 The Revolution Digital Video Recorder (DVR) includes a 2.7" LCD screen and the ability to save videos and photos on the supplied 16 gigabyte SD card. The Revolution DVR conveniently runs off of an included Lithium-Ion battery and includes the charger. The kit also includes a remote control that can be used to save images hands-free from the device and a video-splitter so you can use this at the same time as the 7" monitor included with your Revolution Imager. 4.0 (Based on 4 Reviews) 100% of reviewers recommended this product. Although I have not actually recorded with it, I have powered it up. Mine was set to Chinese as default which was difficult to change in the menu system. Also difficult to turn on or off. 5.0 So far , so good. So far , so good. Performs as advertised. The only question is whether the battery will last if not used for a while.